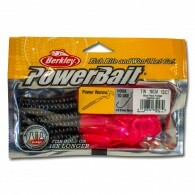 Berkley Power Worms (Blue Fleck Firetail) From the Power Bait line. Fish bite and won’t let go! 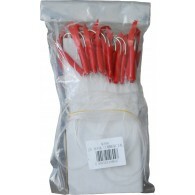 Each pack includes 13 worms which are 7″ or 18cm. We recommend a 4/0 offset worm hook. .. This 70 kilo shark trace is 4.5 meters long. Complete with heavy duty shark swivels. Simply add your chosen hook and you are ready to go! 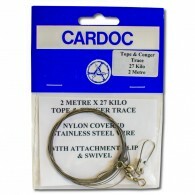 Nylon covered SS wire trace without hook. Breaking strain 70kg Length 4.57m .. 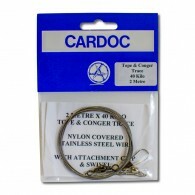 These Cardoc Tope Traces are ideal for targeting tope and other shark species from the shore or boat, and can also be used to catch conger eels and other large species which have sharp teeth which may cut through normal monofilament fishing line. The rig consists of a size 9/0 heavy duty hook att.. 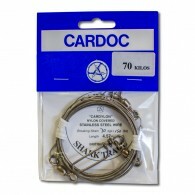 These Cardoc Tope Traces are ideal for targeting tope and other shark species from the shore or boat, and can also be used to catch conger eels and other large species which have sharp teeth which may cut through normal monofilament fishing line. The rig consists of a size 9/0 heavy dut..
A 25 hook mackerel rig .. 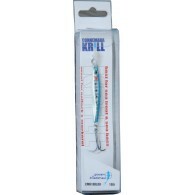 The special compact design of the Connemara Krill increases casting distance and makes the lure sink faster when prospecting for fish. During the retrieve the eccentric angular shape enhances the wounded prey swimming action and emits strong vibrations attracting predators from further away. 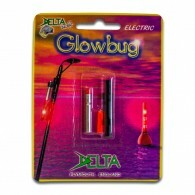 This ..
Delta Glow Bug is an ultra slim night light. 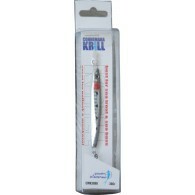 This super slim, ultra light night light is perfect for either the rod tip or for insertion into night floats. They are a very compact design with on/off facility, and come in green red and blue colours Super slim night light For rod tip or nig..
Gulp! 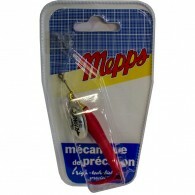 is not just an alternative; in fact, it is a preferred bait for many top anglers. Gulp! bleeds a scent like a blood trail so it attracts more fish from greater ranges and triggers them to feed. The right colours, the right texture, the right flavour. 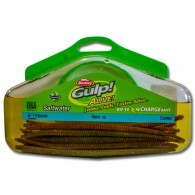 Thousands of anglers make Gulp! 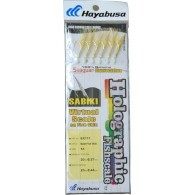 their fi..
Hayabusa Gold Flasher Sabiki This rig is excellent for Cod and other white fish. Made using flurocarbon line,almost invisible in water. .. Here is the perfect salmon and steelhead lure for the pier or stream fisherman. The Mepps Flying C is a heavyweight spinner that drops deep and stays deep throughout the retrieve. 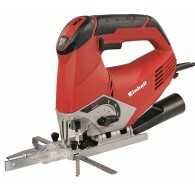 In fact, it’s one of Mepps deepest running spinners. Its bright fluorescent sleeve acts as a highly reflective attractor.. 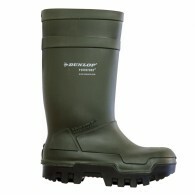 Going Seafishing? Always Bring Rubber! Mustad has further developed the traditional “gummimakk” (”rubber worm”) which was originally invented by fishermen along the Norwegian coast. 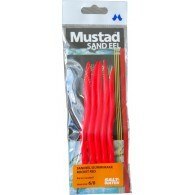 Mustad’s new Sand Eel series, with razor sharp quality hooks, ought to be part of every seafisherman’s standard tackl..